Story - 5: Why isn't Mariko Tamaki doing more for DC? At least in this series, Tamaki has shown a good grasp of characters and situations for a young Supergirl trying to figure out her powers and her place in the world. While the new monthly "Supergirl" book featuring Kara tends to force similarities to the Supergirl TV show into its pages, "Supergirl: Being Super" feel like it is a true reboot of Kara Zor-El. 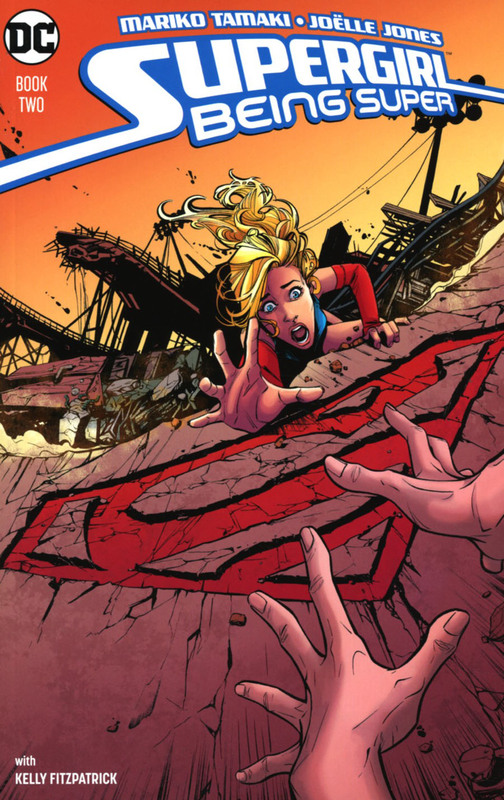 Here's hoping Mariko Tamaki gets to write a comic about the Man of Steel someday. Art - 5: The art seems a bit rougher looking this time around. This could be due to the inking. However, every page is beautifully rendered. Cover Art - 5: What was already said about the interior art goes for this cover as well. It's stupendous.